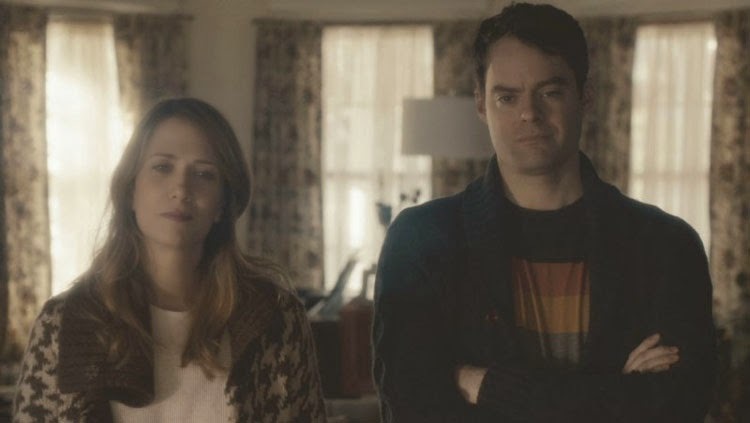 Kristin Wiig and Bill Hader star as Maggie and Milo in The Skeleton Twins, directed by Chris Johnson. Depicting attempted suicide on screen is a real challenge; it’s easy to lose the message. If the moment is too horrific, there’s a risk to lose the audience. On the other hand, making light could turn the scene into a mere device and betray the characters. A major factor is our investment in the story based on where the attempt occurs inside the film. 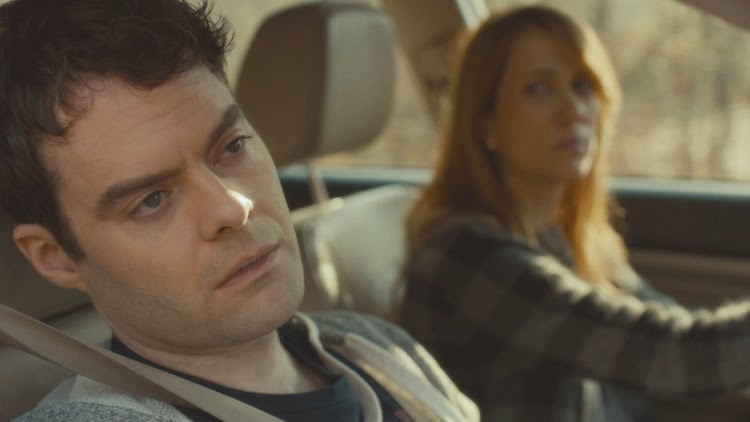 Craig Johnson’s The Skeleton Twins opens with a depressed Milo Dean (Bill Hader) writing a suicide note and preparing to slice his wrists in the bathtub. We know nothing about the guy, so it’s tough but less harrowing. The next scene reveals Milo’s sister Maggie (Kristin Wiig) preparing to kill herself with pills. It’s quite a coincidence of timing, but it also builds a connection between the twins that will only grow during the movie. The title refers to a much happier moment from their childhood (revealed in flashback), and the past haunts Milo and Maggie. They haven’t spoken in 10 years, and their relationship hearkens to struggles from long ago. 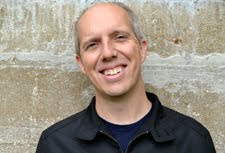 When their dad committed suicide, he placed their lives on a sour trajectory that continues well into their 30s. The twins were 14 at the time, and they’ve never recovered. Milo also reunites with his high-school teacher Rich (Ty Burrell) with whom he had an affair at 15. The adage that “the past isn’t through with us” rings true. The script from Johnson and Mark Heyman (Black Swan) shows the many ways Milo and Maggie are still coping with difficulties from long ago. Maggie’s husband Lance (Luke Wilson) is a nice guy with a stable life, yet his presence isn’t enough to bring solace. Instead, she’s actively sabotaging the relationship with lies and affairs. It’s difficult to watch Maggie’s self-destructive behavior, even while recognizing that Lance is not the right match. He’s friendly and laid-back, yet there’s little spark between them. Even so, having an affair with a hot scuba instructor is not the right approach. Kristin Wiig’s likability makes it easy to root for Maggie; we sense that she’s a good person stuck in a terrible pattern. The same is true of Milo, who can’t seem to find real love. His dreams of being a famous actor in Hollywood haven’t gone well and are likely fruitless. Bill Hader injects a real longing into Milo that makes it easy to connect with him. The twins need each other to survive, yet there are so many emotional barriers. The camera frequently pulls close to the characters' tormented faces in shots like this one. The Skeleton Twins was a festival hit and nominated for the Grand Jury Prize at Sundance last year. The positive reception makes sense, especially with the raw emotions from Wiig and Hader. Reed Morano’s camera stays close to the actors’ inexpressive faces for extended shots. There’s little joy in the film’s washed-out look, which sells the ever-present sadness. Looking beyond the strong performances, the story feels less deep after some reflection. Milo and Maggie need each other to overcome their past, and that theme is everywhere. The final save in the pool makes it expressly clear. The low-key approach works for the material and suits the actors, but the resolution is pretty conventional. The scenes that truly resonate are the rare moments where Milo and Maggie just enjoy the other’s company. An improvised sequence at a dentist’s office just lets the actors goof around. The chemistry between Wiig and Hader from years of working together makes the relationship feel effortless. Lip-syncing to Starship’s “Nothing’s Gonna Stop Us Now” stands out because it’s such a rare scene. The pure joy (and Luke Wilson’s priceless reaction) sticks with you a lot more than the turmoil. It’s no surprise that it appeared on many lists of favorite scenes from 2014. This brief respite hints at possible happiness between the twins that’s barely seen in the film. Wiig and Hader do a lot with the material, and their work resonates more than the plot in the long run. I was surprised by that film as I didn't expect much out of it. It's part of the joy of seeing something where you have little to no expectations and then find something that would stick with you much later on. That's the great power of cinema. Agreed! I also knew very little about this film going into it. That was definitely the better move and is rarely not a good idea. That's why I try to avoid reviews and too much news in advance these days. I've been reading so much about this movie from fellow bloggers who seem to carry the same opinion as you...it's good, could have been better, but Wiig and Hader are great. I really need to just see this one already! If you like Wiig and Hader, I think it's worth seeing. Both do really good work and get plenty of chances to shine. This was such a surprise favorite of mine this year...it just missed my top 10 list! Wiig and Hader gave such tremendous performances. That lip-sync scene....my favorite scene of the year! That is such a great scene, and I agree about Wiig and Hader. They bring quite a lot to the material. Thanks for the comment!